Learning and development is an important process for our staff members at all levels and the business as a whole to expand and advance. In order to build a driven and efficient working environment, we provide learning and development opportunities to help our staff members pursue their career and personal goals. With the right tools and skills, we believe our staff at all levels can achieve even more and contribute even more greatly to our business. That is why we equip our staff with the necessary skills and knowledge to carry out their work tasks more effectively. We make sure our staff’s personal goals are fulfilled. Support and resources are given to them to grow and develop personally. Assistance will also be given to managers with their leadership and people management skills, in order for them to assist their teams in achieving even bigger business goals. Everyone is expected to be responsible for their learning and development process. Staff are encouraged to take the initiative in personal development and make use of their career potential. On the other hand, managers are expected to make sure their teams are well trained and properly coached. 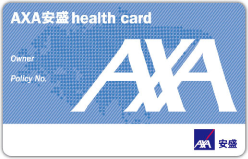 AXA’s greatest assets are its people. Talent Management works closely with senior leaders to identify, develop and sustain the leadership pipeline for the company. We make sure that our current and future leaders get the right development to prepare them for their next move and gain the skills necessary to meet changing business needs. AXA’s Talent Management advises the business and identified talent on what type of learning interventions would be most suitable to meet their development needs. This can be in the form of internal (provided by our L&D team, AXA University or Group) or external programmes, increased scope of work, cross-functional projects, mentoring, short-term/long-term international assigments, etc. This is a 1-year leadership programme designed for high-potential talents at middle management level, it covers 3 key learning areas around AXA Leadership Framework based on the development needs for each cohort. On top of that, the EXCOM and other senior leaders also provided guidance through a mentorship program, equipping future leaders with the management mindset. The Reverse Mentoring programme is carried out to strengthen the digital fluency of senior leaders and minimize the generational gap within AXA. It is a 10-month programme where the senior leaders act as the mentees and the younger generation leaders as mentors. Through the mentoring process and exposure to senior leadership, we are also able to identify and grow young generation leaders. Why stay in one place when you can go even farther and explore even wider? We always encourage talent mobility among our employees. Therefore, we deliver you one of the best and most challenging ways, the Long-term International Assignment (LTIA) and Short-term International Assignment (STIA) that will bring you learning, professional and life experiences. Designed for business needs and individual’s development needs, the LTIA and STIA programs offer a valuable opportunity to accelerate your career and personal growth as you will be introduced to the working process and culture of our offices around the globe and participate in meaningful projects. An international assignment requires a high level of commitment, openness, adaptability and resilience but you can also earn yourself such enriching yet challenging, daunting and testing experience. If you decide to take this step, the Company is there to support you.